Cabins on Antarctic cruise ships are usually doubles with a smaller number of triples and quads, how are solo travellers accommodated? 1 - Pay a supplement to stay alone in a single cabin, the cost of this varies but becomes a greater proportion of the full occupancy as the standard the cabin goes up. Expect to pay 1.5-2x the single rate to occupy a double cabin alone. 2 - Share a cabin with another same gender solo traveller, in these cases there is obviously no supplement due and you will most likely make a new friend in the process. Q: Do all ships accept bookings from solo travellers for shared cabins? A: With only a few exceptions, almost all ships cruising to the polar regions allow solo travellers to book shared cabins with other solo travellers of the same gender. If you're willing to share, then you can travel in a twin, triple, or quad cabin at rates that are significantly lower than paying a single supplement. Q: Are there any particular ships that are more suitable? Why? A: The "best" ship really depends upon your preferences. There is more chance of finding someone to share with on one of the larger ships - more passengers means more people who are also travelling alone. A couple of ships have especially good single-cabin options for guests who prefer private accommodation. Q: If I as a solo traveller book a shared cabin, am I guaranteed to keep that? i.e. if no other solo books to share it with, is the ship going to try and "bump" me off in some way to get a pair of travellers into the now single occupancy, single fare, double cabin? A: Once you're confirmed in a shared cabin, you're guaranteed that cabin (and fare) even if the ship doesn't end up matching you with a roommate. Q: Are there restrictions to the category of cabin bookable by solo travellers? A: Any cabin may be booked by a solo traveller, the single supplement and option for sharing varies by cabin category and shipping company. With a few exceptions, generally the lowest 2-4 categories are available for shares. Premium cabins and suites often carry higher single supplements and usually cannot be booked as a share. Q: Is dining "open" in that all tables are available to all travellers? A: Yes, and that is part of the beauty of expedition travel! Dining is casual, and is an excellent way to meet other fascinating, likeminded travellers. Q: Is there a way that the solo travellers on a ship can find each other quickly once on board? A: If you book as a share, one of the first people you meet will be your roommate - who is also travelling solo. While there aren't any formal mechanisms onboard for solo travellers to meet up, small expedition ships are known for their casual atmosphere and camaraderie. You will likely meet other solo travellers as well as friends travelling together right away, as your small group of explorers will be gathering daily for briefings, Zodiac cruises, shore visits, and socializing in the lounge. Q: How likely am I to be with other solo travellers or will it be mainly couples? 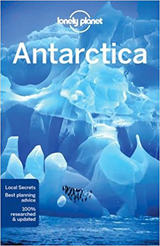 A: You'll find there is a fantastic mix of travellers who are drawn to small ship travel to the polar regions. That said, larger ships that offer designated solo cabins as well as ships with generous share policies are more likely to attract more solo travellers. 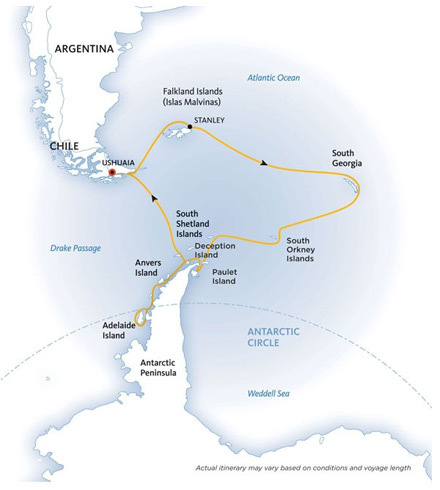 Trips from Ushuaia to the Antarctic Peninsula are the most usual cruises. 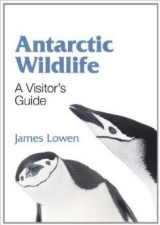 If you have more time, you can visit sub-Antarctic islands and the Falklands too. 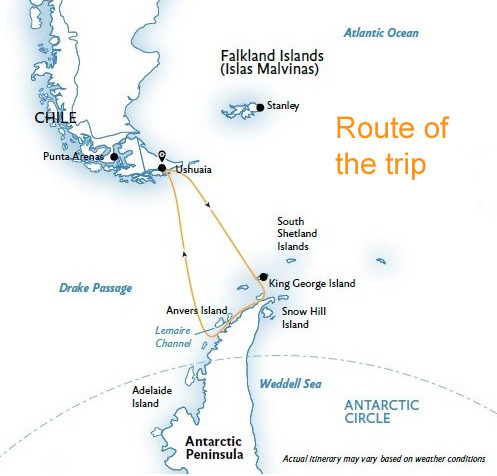 Some trips offer a flight for part of the journey to meet to the ship from South America or return after the cruise, either both or one way with a ship journey for the other.